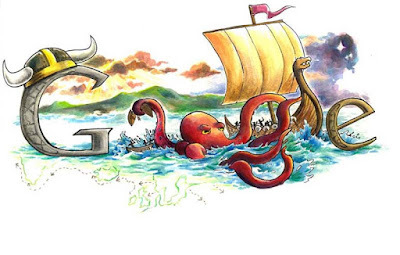 A Google Doodle is artistic illustrations of people, animals, and events, which hold a prominent place in history. Doodle had existed long before the company existed. The first Doodle was born in the summer of 1998, by Google founders Larry Page and Sergey Brin a few days before Google was incorporated. When the two headed for Burning Man Festival in the state of Nevada, they created a simple Doodle, with a stickman on fire which was the festivalÃ¢â‚¬â„¢s icon loitering behind the second Ã¢â‚¬ËœoÃ¢â‚¬â„¢ of Google. It was their message to the users that they are out of office on holiday at the Burning Man Festival. With this, the idea of altering the companyÃ¢â‚¬â„¢s logo creatively the idea of Doodle was born. Users loved this playful change to an otherwise simple logo. Later freelance artists started creating holiday decorations to add to the logo. It was in the year 2000 when Google tasked intern Dennis Hwang to design a Doodle for Bastille Day, which was also GoogleÃ¢â‚¬â„¢s first international Doodle. The Doodle became an instant hit among the users, and Hwang bagged the role of Chief Doodler. Released in May 2000, Google Aliens was the first Doodle series of five Doodles. Ian David Marsden was the chief illustrator. The first animated Doodle was of Haloween in the year 2000. Guest artist Lorie Loeb created this Doodle. It featured two jack-o-lanterns in place of two Ã¢â‚¬ËœoÃ¢â‚¬â„¢ and a spider dangling from L in the Google. First interactive Game Doodle was of PAC-MAN. Dedicated to the 30th anniversary of this iconic game, it had an original sound, graphics and even bugs from the game. The Doodle celebrating the 60th anniversary of Stanislaw LemÃ¢â‚¬â„¢s first publication in the year 2011 was the first open-source code Doodle. It allowed public access to the code to see how to build a Doodle. Doodle dedicated to Charlie Chaplin 122nd birthday was the first live-action Doodle. It featured a short film with the appearance from the entire Doodle team. Google has created more than 1000 Doodles until now, and these were some of the initial Doodles, which marked an increase in creativity. In the year 2001, the company applied for the patent of Doodle which was granted to it a decade later in 2011. Thus, something that started as an informal Out of Office message became a trademark of the brand Google. Now there is a separate department dedicated to creating Doodles. 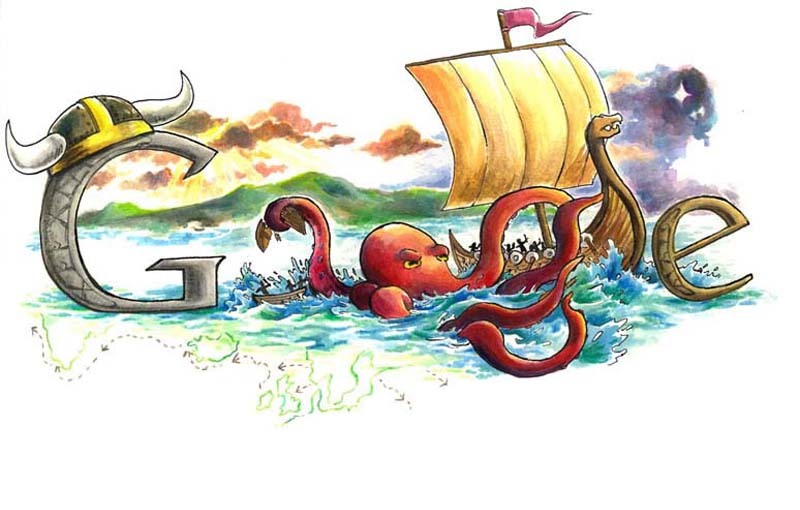 Google Doodle team receives endless requests from its users each year, but only a few make it to the homepage. To learn more, search Doodle 4 Google in the search bar. Also Read: How to easily change Email password?